Book review – Anne Boleyn’s Letter from the Tower: A new assessment by Sandra Vasoli. “Sir, your Grace’s displeasure, and my Imprisonment are Things so strange unto me, as what to Write, or what to Excuse, I am altogether ignorant; whereas you sent unto me (willing me to confess a Truth, and so obtain your Favour) by such a one, whom you know to be my ancient and professed Enemy; I no sooner received the Message by him, than I rightly conceived your Meaning; and if, as you say, confessing Truth indeed may procure my safety, I shall with all Willingness and Duty perform your Command. But let your Grace ever imagine that your poor Wife will ever be brought to acknowledge a Fault, where not so much as Thought thereof proceeded. And to speak a truth, never Prince had Wife more Loyal in all Duty, and in all true Affection, than you have found in Anne Boleyn, with which Name and Place could willingly have contented my self, as if God, and your Grace’s Pleasure had been so pleased. Neither did I at any time so far forge my self in my Exaltation, or received Queenship, but that I always looked for such an Alteration as now I find; for the ground of my preferment being on no surer Foundation than your Grace’s Fancy, the least Alteration, I knew, was fit and sufficient to draw that Fancy to some other subject. Try me, good King, but let me have a Lawful Trial, and let not my sworn Enemies sit as my Accusers and Judges; yes, let me receive an open Trial, for my Truth shall fear no open shame; then shall you see, either mine Innocency cleared, your Suspicion and Conscience satisfied, the Igominy and Slander of the World stopped, or my Guilt openly declared. So that whatsoever God or you may determine of me, your Grace may be freed from an open Censure; and mine Offence being so lawfully proved, your Grace is at liberty, both before God and Man, not only to execute worthy Punishment on me as an unlawful Wife, but to follow your Affection already settled on that party, for whose sake I am now as I am, whose Name I could some good while since have pointed unto: Your Grace being not ignorant of my Suspicion therein. But if you have already determined of me, and that not only my Death but an Infamous Slander must bring you the enjoying of your desired Happiness; then I desire of God, that he will pardon your great Sin therein, and likewise mine Enemies, the Instruments thereof; that he will not call you o a strict Account for your unprincely and cruel usage of me, at his General Judgement-Seat, where both of you and my self must shortly appear, and in whose Judgement, I doubt not, (whatsoever the World may think of me) mine Innocence shall be openly known, and sufficiently cleared. My last and only Request shall be, That my self may only bear the Burthen of your Grace’s Displeasure, and that it may not touch the Innocent Souls of those poor Gentlemen, who (as I understand) are likewise in strait Imprisonment for my sake. If ever I have found favour in your Sight; if ever the Name of Anne Boleyn hath been pleasing to your Ears, then let me obtain this Request; and I will so leave to trouble your Grace any further, with mine earnest Prayers to the Trinity to have your Grace in his good keeping, and to direct you in all your Actions. The origins of this one letter has been discussed and debated for years. Did Anne Boleyn really write this? Why was it found amongst the papers of Thomas Cromwell after his execution? Did King Henry VIII ever read the letter or even regret sending Anne to her death? Well Sandra Vasoli has sent about re-examining the letter and found some compelling new evidence that could potentially answer the question of whether Henry regretted his actions or not. Sandra begins by taking us through a brief history of Anne’s relationship with Henry and the breakdown of their marriage which resulted in Anne’s imprisonment in the Tower of London. We also see the rivalry between Anne and Thomas Cromwell. Sandra also provides what happened to the letter after Anne had written it and how it ended up in the possession of Robert Bruce Cotton and eventually the British Library. The story of the letter’s journey is incredible and Cotton’s collection also included the letters from to Thomas Cromwell from William Kingston regarding Anne’s behaviour during her time in the Tower. The author of this letter has long been disputed with many arguing that Anne did not write it at all, however, Sandra believes that Anne may have dictated the letter to someone who put the words onto paper. Sandra also provides an analysis as to the contents of the letter. It is fascinating to see just what was going through Anne’s mind as she attempted one last time to appeal to her husband to save her life. There is a clear timeline of events in Sandra’s book which reaches its pinnacle with Sandra’s discovery of Henry’s regret, it was said he spoke his regret as he approached his death. This discovery is fascinating and really made me look at the way I view King Henry VIII and the events that surrounded May 1536. Anne Boleyn’s letter from the Tower is a great book that explains one particular event in the life of Anne Boleyn and Henry VIII. I for one hope that this latest discovery shines a new light on an event that has been discussed throughout time. Sandra has done a tremendous job in giving a greater understanding in the history of Anne’s letter and I for one hope this discovery of Henry’s regret begins to change how we view why Henry reached the decision to execute the wife he tore the country apart for. On 29th August 1538 Geoffrey Pole was arrested and imprisoned in the Tower of London. Pole was the son of Margaret Pole, Countess of Salisbury and therefore had a claim to the throne. Geoffrey Pole was present at Anne Boleyn’s coronation but his loyalty, along with the rest of the family, lay with Katherine of Aragon and her daughter, Princess Mary. Pole had a private meeting with the Imperial Ambassador Eustace Chapuys and Pole told Chapuys that if the Holy Roman Emperor was to invade England to avenge the wrongs that had been done to his aunt, Katherine, then the English people would support him. The conversation, which was supposed to be private, reached King Henry VIII’s ears and Pole was instantly arrested. He would stay in the Tower of London for the next two months until in October when he was called for interrogation. Pole was questioned about conversations and letters that had been sent and received to his brother, Cardinal Pole, from his family. These letters were not approved by the King or Council and so suspicion fell on the Pole family. Pole’s wife, Constance, was also questioned about Pole’s activity but she was not imprisoned and so attempted to contact Pole’s mother and brother, Lord Montagu to warn them that Geoffrey was facing the rack and that they could be implicated. By the time word reached his family Geoffrey had attempted suicide and had caused some injury to himself. After further interrogation Pole broke and gave all the evidence the King would need against the Pole family. 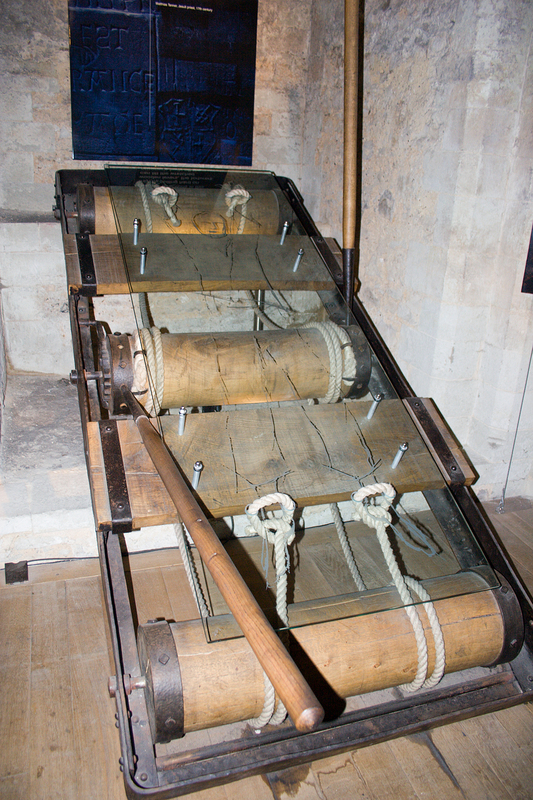 Henry had Lord Montagu and Henry Courtenay arrested and imprisoned in the Tower on 4th November 1538. Geoffrey along with his brother and Henry Courtenay were tried, they entered a plea of guilty and was originally condemned to death until he was pardoned on 4th January 1539. 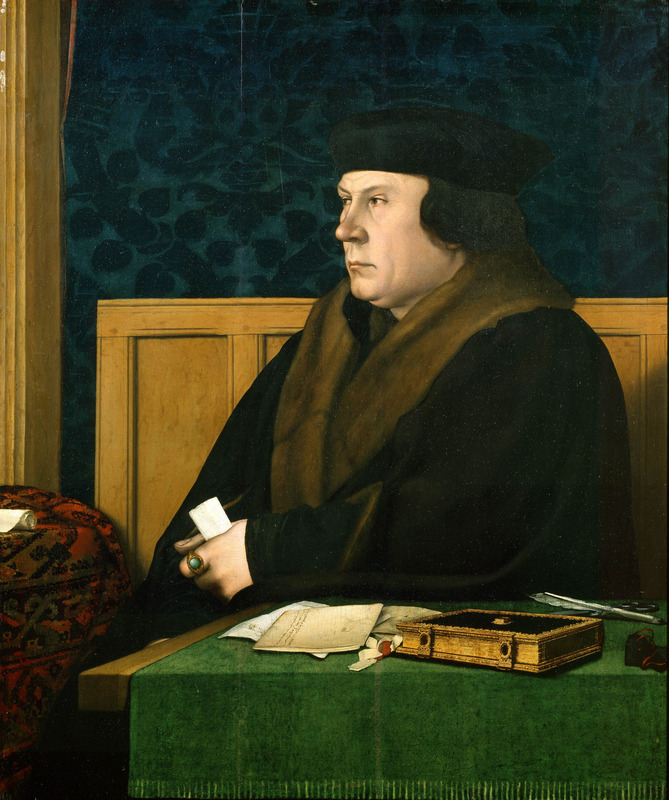 Thomas Cromwell wrote that he had received the pardon because he was so ill he was already as good as dead. Thomas Wriothesley was born 21st December 1505 in London to William Wriothesley and Agnes Drayton. Thomas was the eldest of four and had two younger sisters, Elizabeth and Anne and a younger brother, Edward. Wriothesley received his education at St Paul’s School, London before going to Trinity Hall, Cambridge in 1522 to study civil law although he did not complete his degree instead at the age of 19 he entered into the service of Thomas Cromwell and began a life at court. Within a few short years Wriothesley was appointed joint clerk of the signet, a position under Henry’s VIII’s secretary, Stephen Gardiner. A position he would hold for the next decade whilst also working for Cromwell. Wriothesley married Jane Cheney, niece of Stephen Gardiner. They would go on to have eight children in total, three sons and five daughters. Two of their sons died at a young age leaving Henry Wriothesley as the heir to family estates. His loyalty to Cromwell was rewarded during the dissolution of the monasteries when he was granted land between Southampton and Winchester. 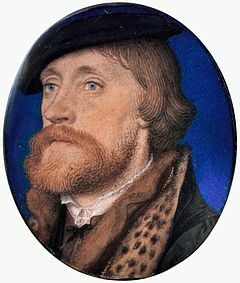 Henry also appointed Wriothesley as his ambassador in Brussels until 1540 when he was made one of the King’s principal secretaries alongside Sir Ralph Sadler. Also in 1540 Wriothesley was knighted and despite the fact his patron and master, Thomas Cromwell, had been arrested and later executed he continued to grow in the King’s favour and was created Baron Wriothesley in 1544. In 1544 after having acted as Lord Privy Seal for a few months he was appointed as Lord Chancellor in 1544 and within his first two years took part in the torture of Anne Askew, who had been accused of heresy. Kingston, who was originally operating the rack refused to take part any further and Wriothesley, stepped in and operated the rack in the hope that Anne would talk; instead he turned the rack so much that her shoulders and hips were pulled from their sockets. When King Henry VIII died on 28th January 1547 Wriothesley was one of the executors of the King’s will and on 16th February 1547 was created the Earl of Southampton at the wishes of the late King. After the King’s death and the creation of a new council for the young King Wriothesley appointed four people to help him in his duties and the new Lord Protector, Edward Seymour, used this to his advantage and Wriothesley was relieved of his duty in March 1547 as well as being excluded from the Privy Council. In Wriothesley’s will that was created just days before his death he left his collar of garters to King Edward VI and a cup each to Mary and Elizabeth. He also provided for his wife and children before remembering his friends and family. Wriothesley died on 30th July 1550 at Lincoln House in Holborn and was buried in St Andrew’s Church, Holborn before he was later moved to Titchfield. His funeral was presided over by Bishop Hooper of Gloucester. On this day in 1540 – the marriage between King Henry VIII and Anne of Cleves was declared annulled. On 9th July 1540 King Henry VIII’s fourth marriage to Anne of Cleves was declared null and void. The marriage never got off to the best of starts when Henry first met Anne she did not recognise him and as a result Henry took it as an insult, things got no better from there and the despite going through with the marriage Henry never consummated the union, he was under the belief that Anne was not a virgin and therefore could not be his wife. Shortly after their marriage Anne was sent to live at Richmond Palace where she was out of the way. During this time Bishop Gardiner had begun investigating the possibility of a pre-contract being in place between Anne and the Marquis of Lorraine. On 6th July 1540 a court messenger was sent to Anne to inform her that her new husband was having trouble believing that their marriage was legitimate and wished for her consent for a church investigation. Anne agreed to the investigation, after all she had heard what had happened to Anne Boleyn and she did not want to end up in the Tower of London. On 7th July a convocation of the clergy was held and they agreed that the marriage was in fact invalid and they put forward three reasons for it the first was the alleged pre-contract between Anne and the Marquis of Lorraine, the second that Henry did not consent to the marriage in the first place and finally the union was not consummated. With this news Anne was approached by messengers, acting on behalf of the convocation and the King, for her agreement for the marriage to be annulled. 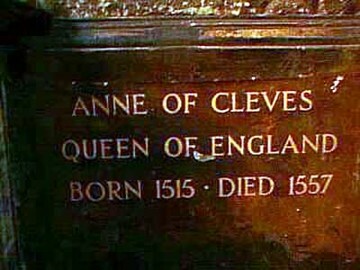 It was reported that Anne was so overcome with fright at the outcome that she fainted, after coming around Anne agreed to the annulment and signed herself no longer as Anne the Queen but Anne the daughter of Cleves. Henry rewarded Anne for her cooperation in the annulment and along with addressing her as his ‘beloved sister’ he also awarded her £4000 per year, along with homes at Richmond and Bletchingley. She also received jewels, furniture and hangings alongside a house in Lewes and Hever Castle, the former home of Anne Boleyn. Anne and Henry would go on to have a good relationship with Henry taking time to visit and invite Anne to court, which is more that can be said about Thomas Cromwell who lost his head for his part in the marriage negotiations. 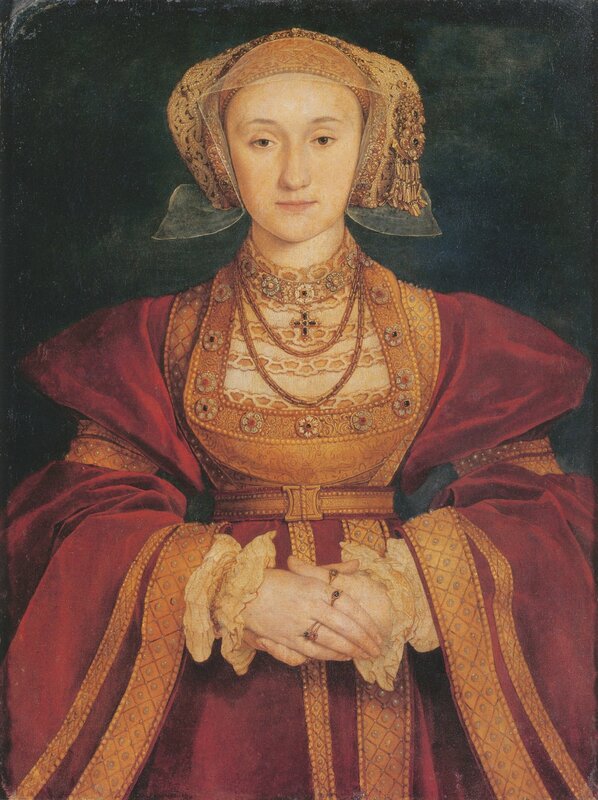 Anne of Cleves painted by Hans Holbein the Younger.